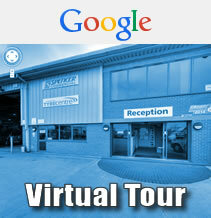 Spencer Commercial have been providing MOT tests for over 10 years. We are licensed to test class 4, 5, 7 & HGV MOT's which cover Scooters, Moped's, Motorbikes, Cars, Van's, Trucks, Lorries, PSV's, HGV's and Coaches. 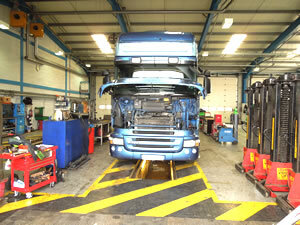 We have several MOT bays so are able to work on multiple vehicles simultaneously. Should your vehicle fail for any reason, we are able to carry out all necessry repairs including servicing, electrical and electronic faults, tachograph calibration, diagnostics and more. With our trained and dedicated staff, using up to date facilities and equipment, Spencer Commercial Services is your partner for all your MOT requirements. We also carry a range of common parts that vehicles can easily fail an MOT on such as light bulbs, windscreen wipers and batteries. 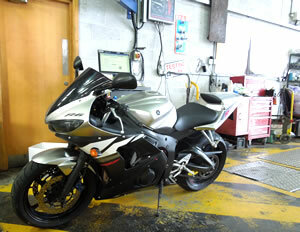 Parts are from all the leading manufacturer's and are hence competitively priced. 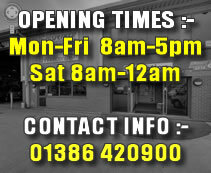 We will always advise you if your vehicle fails and quote for any work required prior to carrying out any work. 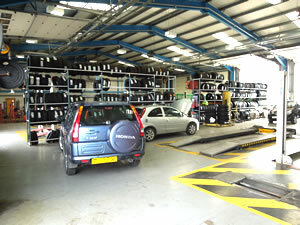 Our workshop team has enormous combined experience in all aspects of maintaining and supporting both Private, Domestic, Business and Commercial Vehicles - and of all types regardless of size and manufacturer. We work hard to ensure that downtime is minimised, both whilst we have your vehicle and by enhancing its future reliability. You are always best to pre-book, particularly at peak times such as Saturday morining, however, you are also welcome to call in to discuss your requirements and book a suitable appointment date and time. Spencer Commercial carries a substantial range of spares to avoid downtime but can also swiftly source anything that is required to get you back up and running in double-quick time. Please do take a closer look at our services and facilities, and don't hesitate to get in touch, regardless of the problem, Spencer Commercial can help.